If you’ve had your immunizations, the chances are you’ve never encountered the ugly “childhood” disease. One of its characteristics is that the sufferer will cough frequently with a deep “whooping” sound that gives rise to the common name. Today there are medications for the disease. If there were any in 1959, my family didn’t know about them. 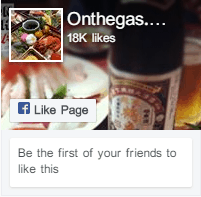 What does that have to do with a lemon cayenne drink? If you are a parent, you’ll do almost anything to help your child shake that horrible cough. For nearly a full nine months, every morning I drank a vile mixture of mullein tea with lemon (peel on) and cayenne. It helped, but it was years before I learned why. With that history, I’m sure you can see why I was happily amazed to see lemon cayenne water being touted as a “cleanse” and a way to lose weight. The benefits of lemon cayenne water rely on the properties of both lemons and cayenne, two items that have long been used in folk remedies of all sorts. Like many such remedies, the “old timers” relied on what their parents had told them and on what they thought would work. Lemons are a citrus fruit, and like all citrus fruits, they have high levels of Vitamin C. Vitamin C is an antioxidant that boosts the immune system and helps protect the system from the free radicals that cause cancer. It can help lower blood pressure and reduce the risk of heart disease by lowering LDL cholesterol. Vitamin C helps reduce the risk of gout by lowering uric acid levels. If all that wasn’t enough, it also helps with the absorption of iron. As a bonus, it also assists your white blood cells and helps with memory function. Vitamin C tends to have a laxative effect, so you can fully expect any drink containing lemon to get things moving along. Thanks to their high acid level, lemons are also credited with helping prevent kidney stones. Cayenne also has an impressive list of health benefits. First off, it is an excellent source of Vitamin A, giving an impressive 44 percent of your recommended daily intake. It is also a very good source of vitamins E, C (when fresh), B6, K, manganese, potassium, and riboflavin. These can be very important. For example, potassium can be quickly leached away by a variety of influences and is an important mineral for human health. Both PubMed and Mayo Clinic state that there is no scientific basis for using a lemon cayenne water detox for health purposes. 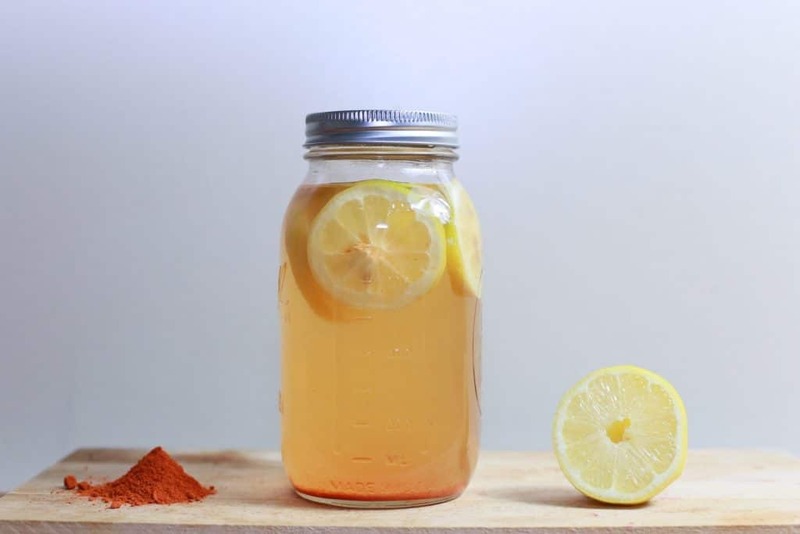 But if you are not feeling well, you might find downing lemon cayenne water soothing, particularly if your discomfort involves a sore throat or a cough. You will at the very least know that you are drinking something that is good for you and that will support your immune system. 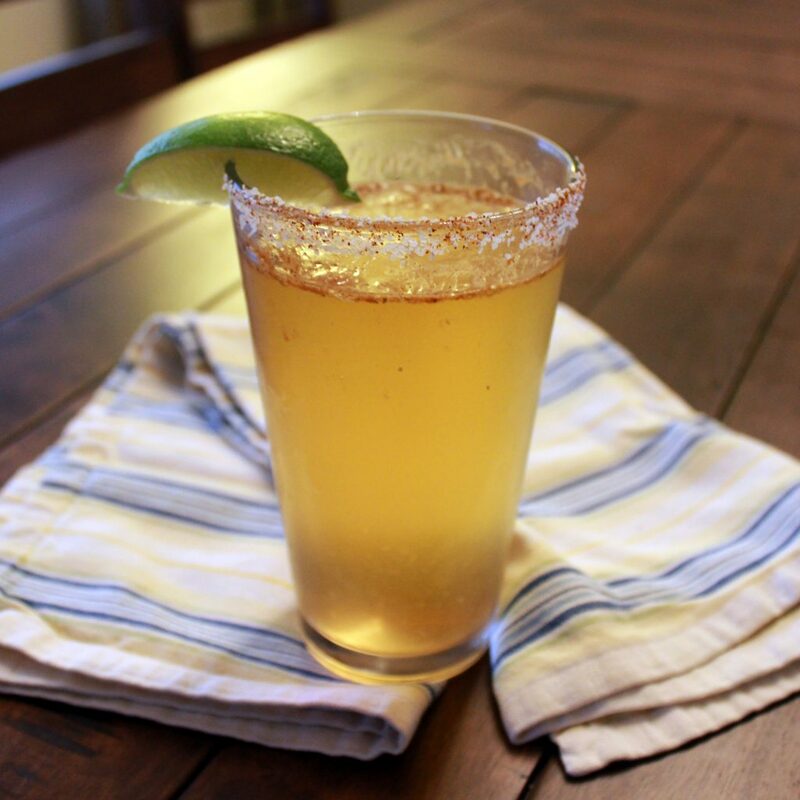 Lemon cayenne cleanse is currently a popular way to lose weight quickly. One method that has been bandied about is to drink a combination of water, lemon juice, cayenne powder and syrup for ten days. During those days, your caloric intake is supposed to be 650 calories or less. It is probable that you would lose weight on the Lemon Cayenne & Honey Water Diet, but it isn’t a good plan for long-term weight loss. It has been used by actors and actresses to quickly shed a few pounds for a role they will be playing or to fit into a costume. The chances are they have medical supervision during the process. This is a good place to note that it is always a good idea to consult your doctor before going on a weight loss regime. With a strict one, such as this, you are likely to feel dizzy, become irritable, have stomach upsets and other adverse reactions. Moreover, the diet is missing two key ingredients for a long-term sustainable diet: protein and fat. The only food energy is from a simple carbohydrate: sugar. The result could include muscle tissue loss as well as the reduction of fat. As soon as you return to your regular diet, the weight is all likely to return as well. Fortunately, you don’t have to go on such a strict diet to benefit from the cleansing action of lemon cayenne water. “Cleansing” usually refers to your body’s biological response to certain foods or drinks, in that they encourage quick and thorough elimination of bodily wastes. Since both lemons and cayenne peppers have vitamins and minerals that support the immune system in general and the white blood cells in particular, they are contributing to your body’s ability to gobble up pathogens and remove them from your body. Vitamin C and several of the other vitamins in lemons and cayenne peppers are water soluble. That means that if you overdo them, they are likely to give you some pretty bad bathroom moments but are not too apt to create toxic levels in your system. 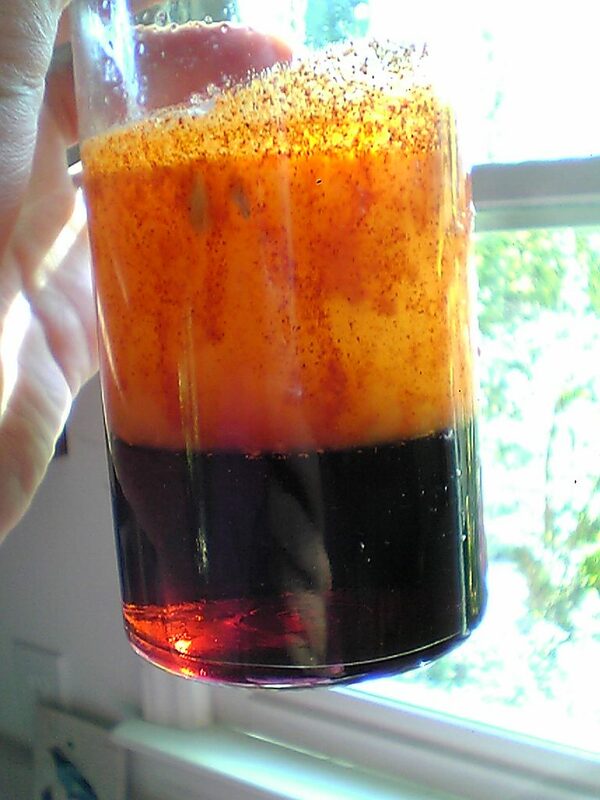 The one vitamin in this drink that could cause a buildup, but it would take a great deal of it, is B6. Since cayenne contains only six percent of your recommended daily intake of B6, it isn’t likely that drinking lemon cayenne water will cause a problem with B6. If you’ve made lemonade, you’ll have no problem making lemon cayenne water. It works best as a cleans and to encourage digestion if you drink a glass each morning for about thirty minutes before breakfast. Warm the water to slightly above room temperature, about baby bottle temperature. Squeeze the lemon into the water, add the cayenne, and swirl it around together. If you are adding fresh cayenne, this works best in a blender. Your smoothie blender will do just fine. Chug it, then go about your business for about 30 minutes before eating breakfast. In a small saucepan, heat the water to boiling, then remove from heat. Wash the lemon, then cut it in half, squeeze the juice into the water and put the lemon halves into a heatproof drinking container. Pour the hot lemon water over the rinds. Sprinkle the cayenne powder on top. Sip cautiously, but drink while still warm. This recipe is the primary basis of the Lemon Cayenne Diet & Honey Water Diet, which is not recommended by Mayo Clinic. However, as a sipping drink for someone who has a sore throat or needs to have a voice that is in good shape for a concert or presentation, it will work very well. In point of fact, it did neither. I am still here today, and the whooping cough finally passed with warm weather. It did sooth the cough, and probably did little harm. 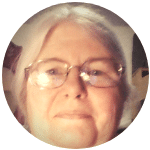 I will tell you that the lemon, cayenne, and whiskey somewhat alleviated the flavor of the mullein – which does have health benefits, which, just incidentally, are not too different from the lemon and cayenne. A medicinal herb that grows wild in the Midwest USA, particularly in Missouri and Arkansas. It has broad, fuzzy leaves. The native plant has yellow blooms, but cultivated species have blooms of other colors. It can be purchased as a tea, tincture or powdered leaf from health food stores. The tea has a flavor somewhere between spinach and old socks. Lemon and cayenne both have the potential for good health benefits. 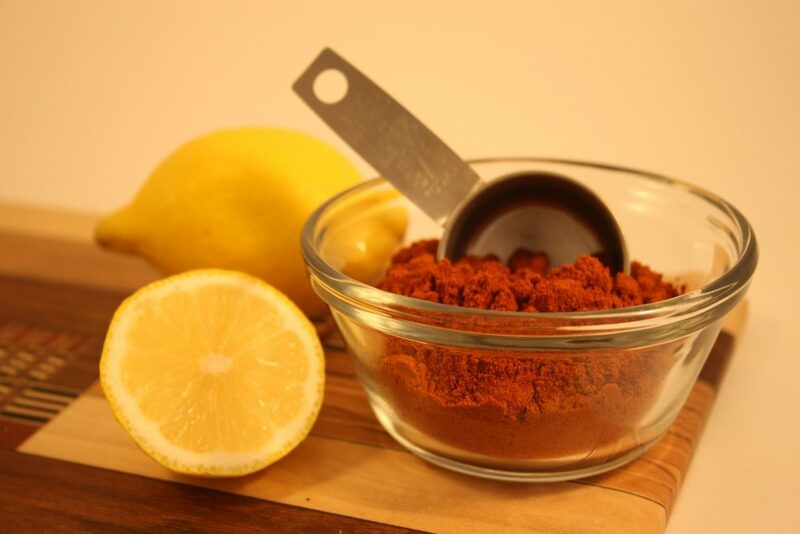 A drink made from lemon and cayenne can help soothe sore throats, help still a cough, and will have a laxative effect. Because both vitamin C and vitamin A, the two major vitamins in lemon and cayenne, support the immune system, drinking a glass of this in the morning could be beneficial. As with most healthy things, however, it is best taken as part of an overall healthy diet, accompanied by plenty of exercises. Single item diets are rarely beneficial in the long term, and even most of the fad diets will graduate the dieter to more varied foods in the long term. As with many herbal or “health” preparations, do not use this preparation on infants under the age of 1 year as unexpected results might occur. Honey has been found to harbor microorganisms that can cause botulism in immature stomachs. 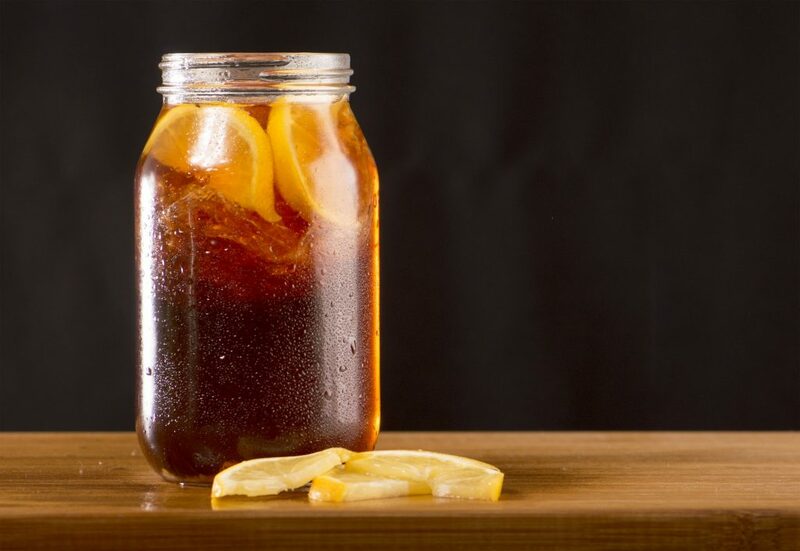 With that said, lemon water is a flavorful drink that makes a good substitute for the many caffeinated and sugared prepared drinks that are on the market today. Adding a dash of cayenne to it could add a piquancy to the drink that would otherwise be absent. Or you could prepare a good stir-fry with lots of healthy vegetables and include your cayenne in that. If you are an adult, you can sweeten your lemon water with a little honey, or you can drop a leaf or two of stevia into it. Stevia has been found to taste sweeter than sugar yet has little or not glycemic impact. Like many herbal sweeteners, the jury is still out on its effect for long-term use. Like many good things, lemon cayenne water is good for you in moderation, especially if it goes with other healthful eating habits. Lean meats, plenty of varied vegetables, some fruit and just tiny additions of sweets and fats remain a healthy diet that will allow you to take healthful exercise and to get on with the needed activities of your day.